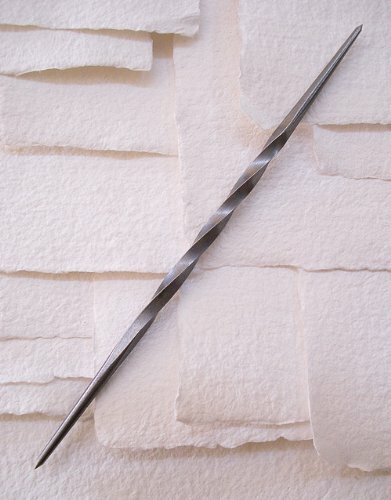 Steel Double Ended Spiral Twist Etching Needle- This solid steel double ended etching needle is vital to any printmaking studio. The spiral in the metal makes it easier to hold onto. Pointed tips are perfect for detail and a wide variety of mark making. The hard steel tips will stay sharp through many uses and can easily be sharpened using a sharpening stone. This needle measures 7 inches long.